Hurricane Earl was not as bad for New England as weather experts anticipated. Where I was, there were 2-3 inches of rain and some light wind gusts; no apocalyptic storm was this. But that’s ok; it served as practice for the peak of Hurricane Season, which we have just begun to experience. I had gone to the grocery store and bought three cases of bottled water in anticipation of Earl; as frustrating as it was to waste time and money on preparations such as these, it was and is a good idea to prepare before any major storm. There is no time like the present to make a survival kit, draw up an evacuation plan, or check your insurance coverage. All these things become exponentially more difficult to accomplish when an actual hurricane is approaching. One of the most helpful things you can do insurance-wise is to take pictures/video of your house. Should a devastating storm occur along with damage, having photographic evidence of what exactly was damaged will facilitate your interaction with your insurance provider. 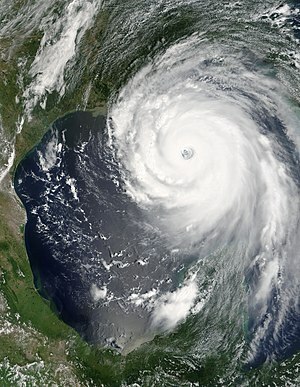 One of the greatest tragedies of Hurricane Katrina was the amount of displaced animals after the disaster occurred. Before any sort of storm is forecast, make sure you have up-to-date pictures and paperwork of your pets, as well as immunization records. Should the need arise to keep a pet at a shelter or clinic following evacuation, it is vital to have all this paperwork and identification information at hand. Appropriately sized pet-carriers should also be purchased before hurricane season in case of evacuation (pet carriers should have enough room for pets to stand and turn around in). After a large storm, pets should be walked on leashes to become re-acclimated to their new environments. Avoid large pools of water, as downed power lands and displaced reptiles could pose a threat to household pets. After a storm is forecast, make sure automobiles have full tanks of gas. If evacuated, traffic and congestion will arise. Running out of fuel while waiting in traffic on the highway would only compound the danger of a hurricane or severe storm. Lastly, KNOW YOUR INSURANCE COVERAGE. 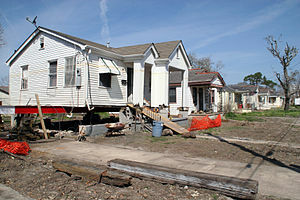 Most flood damage is not covered by homeowners policies. For more relevant insurance resources to save you time and money, visit the Andrew G. Gordon, Inc. website.